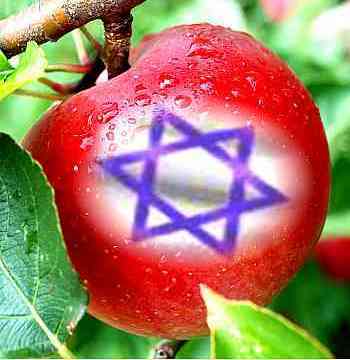 For this is what the Lord Almighty says: "After He has honored me and has sent me against the nations that have plundered you - for whoever touches you touches the apple of His eye - I will surely raise my hand against them so that their slaves will plunder them. Then you will know that the Lord Almighty has sent me. Shout and be glad, O Daughter of Zion.."
1. Genesis 12:3 "And I will bless them that bless thee and curse him that curseth thee; and in thee shall all nations of the earth be blessed." Point: God has promised to bless the man or nation that blesses the Chosen People. History has proven beyond reasonable doubt that the nations that have blessed the Jewish people have had the blessing of God; the nations that have cursed the Jewish people have experienced the curse of God. 2. The Apostle Paul recorded in Romans 15:27; "For if the Gentiles have shared in their (the Jews) spiritual things, they are indebted to minister to them also in material things." 3. While some Christians try to deny the connection between Jesus of Nazareth and the Jews of the world, Jesus never denied his Jewishness. He was born Jewish, He was circumcised on the eighth day in keeping with Jewish tradition, He had his Bar Mitzvah on his 13th birthday, He kept the law of Moses, He wore the Prayer Shawl Moses commanded all Jewish men to wear, He died on a cross with an inscription over His head, "King of the Jews!" 4. "Pray for the peace of Jerusalem, they shall prosper that love thee," Psalm 122:6 - the scriptural principle of prosperity is tied to blessing Israel and the city of Jerusalem. 5. Why did Yeshua (Jesus Christ) go to the house of Cornelius in Capernaum and heal his servant, which was ready to die...? What logic did the Jewish elders use with Yeshua to convince Him to come into the house of a Gentile and perform a miracle...? The logic they used is recorded in Luke 7:5; "For He loveth our nation, and He hath built us a synagogue." The message...? This Gentile deserves the blessing of God because he loves our nation and has done something practical to bless the Jewish people. 6. Why did God the Father select the house of Cornelius in Caesarea (Acts Chapter 10) to be the first Gentile house in Israel to receive the Gospel...? The answer is given repeatedly in Acts 10. Acts 10:2; "...a devout man, (Cornelius) and one that feared God with all his house, which gave much alms to the people, and prayed to God always." Who were the people to whom Cornelius gave these alms...? They were the Jews! Again is ....Acts 10:4? ...."thy prayers and thine alms are come up for a memorial before God." Again in Acts 10:31? ..."and thine alms are had in remembrance in the sight of God." 7. We support Israel because ALL other nations were created by an act of men ...but Israel was created by an act of God! The Royal Land Grant that was given to Abraham and his seed through Isaac and Jacob with an "everlasting" and "unconditional Covenant!" (Genesis 12:1-3, 13:14-18, 15:1-21, 17:4-8, 22:15-18, 26:1-5 and Psalm 89:28-37.) Thank you to Pastor John Hagee for the above article. 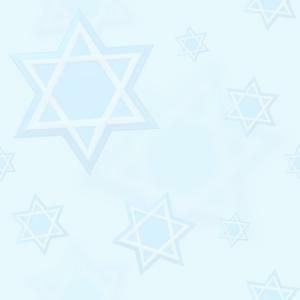 It is not possible to say, "I am a Christian" and not love the Jewish people. The Bible teaches that love is not what you say, but what you do. (1 John 3:18) "A bell is not a bell until you ring it, a song is not a song until you sing it, love is not love until you share it."